I am raising £2000 to attend the course “The World in Transition and Central European Transformation” at Masaryk University, in Brno in the Czech Republic, to better understand the political, economic and sociological aspects of transitioning countries. This programme will provide a broad understanding of state transformation issues in general, and using the practical experience of the Czech Republic and its Central European neighbours draws comparison with other countries around the world which are undergoing their own transformation/transition process. During the course we will gradually learn to understand various dimensions of a major transformation process, starting from sociological and political aspects, moving towards the economic side and concluding with the legal issues. The World in Transition and Central European Transformation will last 3 weeks in Brno, followed by additional trips to Prague, Budapest and Vienna to analyse cultural differences. Without visiting other countries, you cannot easily analyse their transitions. Therefore, I strongly believe that this project will help me bring my own ideas and university education together to gain a broad understanding of transformation/transition in a European context. I am second year BSc Management, Maths and Economics student at the University of Essex. From the age fifteen, I have been a member of the board of directors of Islander Youth, a Cypriot organisation that aims to help high school students understand the changing world and specifically the Cyprus problem. When I moved to England to start my university education, my interest in transitioning countries grew. My aim is to be a successful economist and introduce suitable models to help boost the economic development of Cyprus. I also want to raise awareness of the Cyprus problem by organising cross-community events. I will not be able to do this without an understanding of transition in a European context, therefore this course has incredible importance for myself and my career. 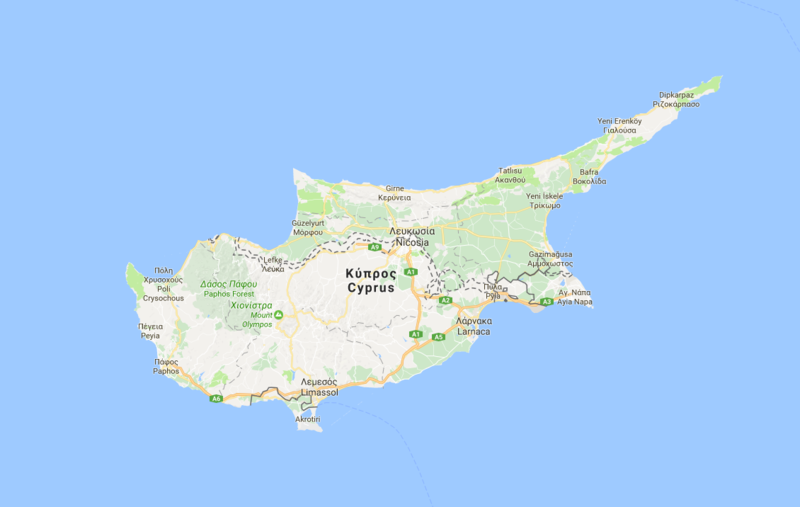 Cyprus has been divided since 1974 as a result of the war between Greece and Turkey. I grew up in the northern part of the country, the Turkish Republic of Northern Cyprus (TRNC). Unfortunately , TRNC is only officially recognised by Turkey, while the southern part of the country, the Republic of Cyprus, is an EU member state. Throughout my life I have been campaigning for the reunification of Cyprus and have taken part in lots of events to improve communication and empathy between my country's people. It is a very complicated political and historical problem, however those who look forward to peace in my country are united by HOPE. • the dotted green line drawn on the map shows the division of Cyprus. If I reach my bigger target I would like to get an internship in the Czech Republic and will use that money for accommodation and living expenses. I appreciate all your donations to my project. As a thank you, I have some great rewards to offer my donors. You can check them out on the right-hand side of the page! Thank you for your donation. You will receive updates and photos from social media! Thank you for your generosity! I will bring you back post card from Czech Republic. You're awesome! I will send you professional photos that will I take from Prague, Czech Republic. Thank you for your incredible contribution! I would like to bring you souvenir and professional photographs from Czech Republic. Your donation is so generous! Thank you! I would be so happy to bring you special gifts from Vienna and Budapest as well as printed professional photos. You are such a generous person! Thank you for your huge contribution on my project. I will bring you special gifts from Brno, Prague, Budapest and Vienna. You will love it!